When I was in 8th grade my parents bought me my first Thoroughbred, Robinterry. Robin had raced at Longacres a few times before moving on to a hunter career. 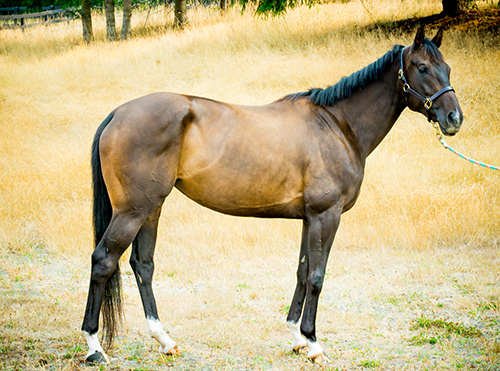 I was ready for a taller, more experienced horse, Robin was wintering in my home town Ellensburg, Wa recovering from a hock injury. I fell in love with him right away. He taught me so much, he saved me when I got into difficult jump situations, he taught me how to jump big jumps and make tight turns. Together we took our small Apple Core circuit by storm. He took me to my first A rated show and we won a second-place ribbon in the Childrens Hunters! Robin showed me how athletic, brave and smart the Thoroughbreds are. Before the Warmbloods started to be imported and make their impact in the sport horse world Thoroughbreds were the dominant breed. Arabs, Quarter Horses, Paints, Appaloosas were also rarely seen in the Hunters or Jumper classes. 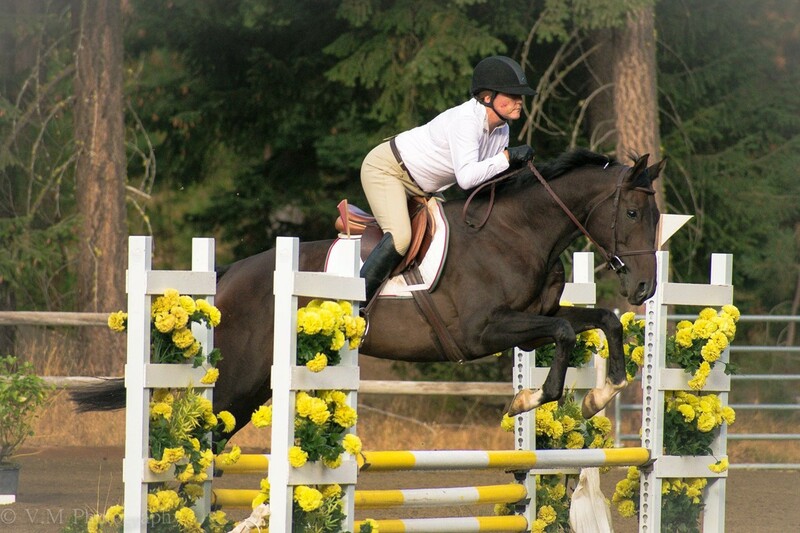 When I competed as a Junior, we even had Washington State bred Thoroughbred Hunter classes. I would love to see this make a comeback. My goal with Performance Thoroughbred Sales is to source quality horses coming off the racetrack and making them ready to start their fabulous sport horse career, working with them on the flat and over jumps and then matching them with riders on a modest budget willing to put in the training time to develop their new sport horse. My contacts at Emerald Downs take excellent, detailed care of their horses. I have seen this in person and have massaged many of them. Chris Stenslie Racing Stable and One Horse Will Do Corp love and know each horse individually. They talk about each horse’s personality, work ethic and health history. Chris starts all of her yearlings gently, giving them a strong base under saddle with a lot of confidence. Her grooms are first class. When I buy from this barn, I get a horse that is ready to go, stands for the farrier and vet, stands for tacking up and has excellent manners. Thoroughbreds have received an unfair bad rap as hot, hard to handle, crazy and easily break-down. This stereotype is so sad and undeserved. All the OTTBs I have owned and worked with are sweet, cuddly, sound, sane and safe to ride. 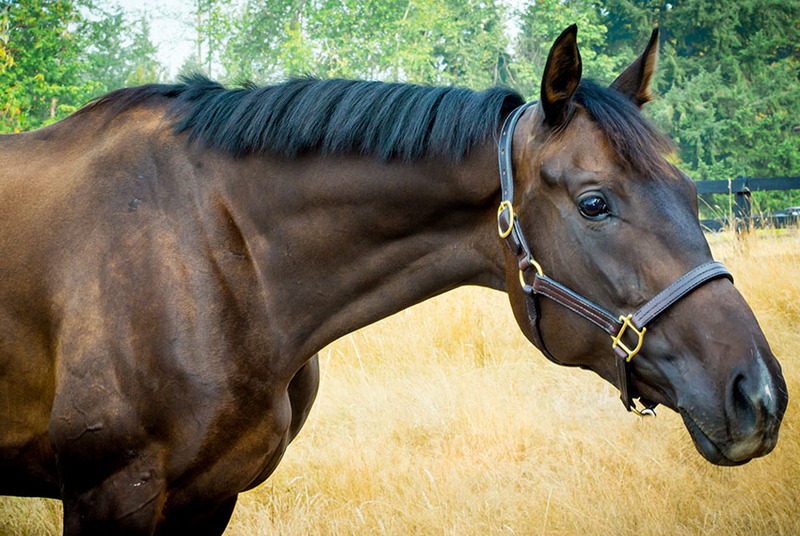 Any horse of any breed that has been mishandled, not started correctly or abused will show behavioral problems. I look forward to sharing with you the OTTB possibilities and advantages! 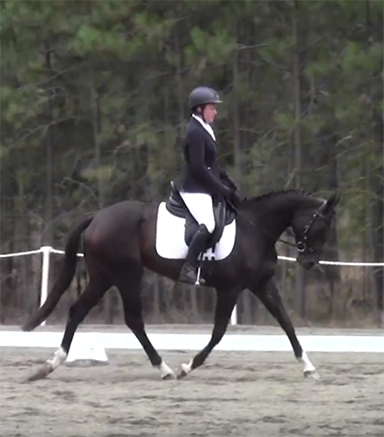 Beautiful and talented OTTB mare for sale. Sweet girl who is brave and scopey, loves to please. 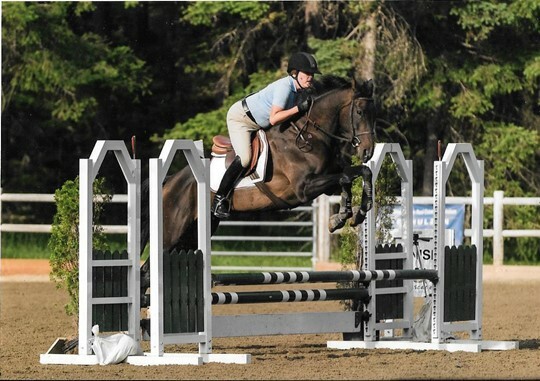 Proven show record in hunter and jumper rings. Finished 8 out of 16 in her first Beginner Novice event. This horse is versatile. Are you a jumper? 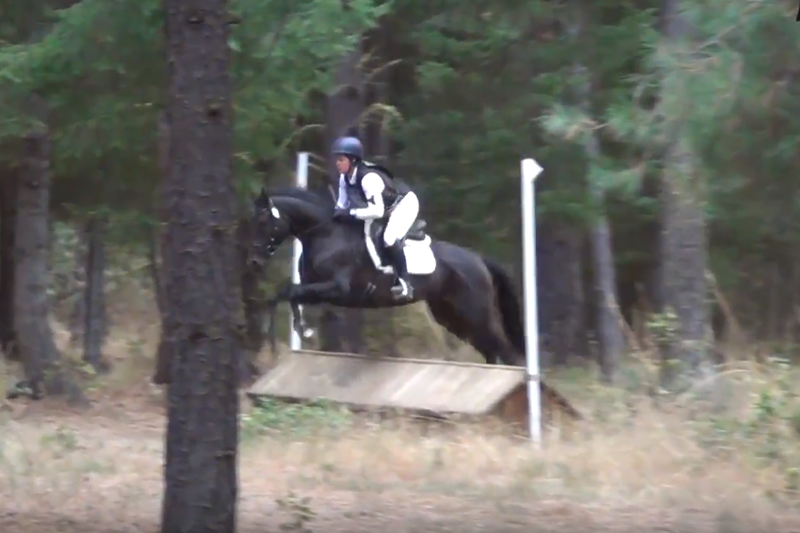 She has the scope and courage to rock the course. Hunter? Her looks and jump catch the judges eye. Equitation? Her long stride will get you down the lines while her agility will do the rollbacks. Eventing your calling? 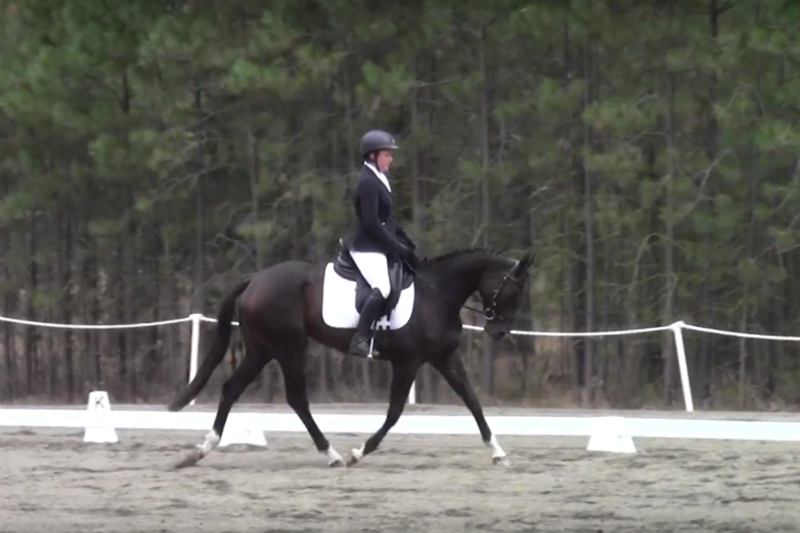 Her first dressage score was a 32.5! She loves the cross country and stadium is a breeze. No stop or buck in her. Retired sound from the track. I have xrays of front knees and ankles. Not really suitable for a young rider but she does cart my niece around patiently. Scroll through the photos or click center and enlarge. Click on the video you’d like to watch!